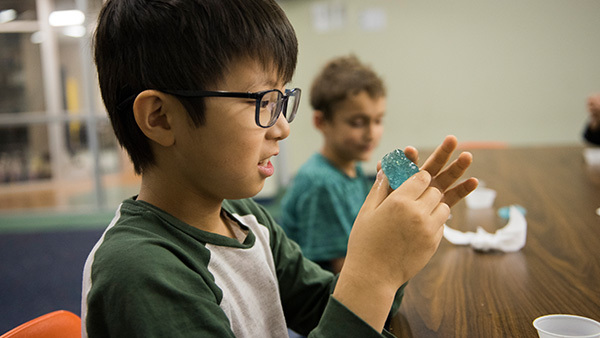 Science Museum Oklahoma spring break camps run from March 18-22. “These camps bring all of the museum’s resources into the hands of children with age-appropriate activities and special themes. Our educators have been excitedly planning wonderful activities to encourage young scientists to explore science beyond the classroom. We’ll have hands-on fun experiments, unique demonstrations and, of course, all of our immersive exhibits and a state-of-the-art planetarium,” said Annie Bewley, museum educator for SMO. The museum’s camps are for children in pre-K to sixth grade and feature a different theme for each age group. Wild World, ages 4-5 (pre-K and kindergarten), 9 a.m. to noon, $100 for members, $125 for nonmembers: This week will be full of natural science and the critters we can find in our own backyards. Campers will collect and explore the tiniest details of a leaf’s “fingerprint,” dissect flowers, make a toad house and feed the fish in the museum’s Oceanarium. The Science of Super, grades 1-3, 9 a.m. to 4 p.m., $225 for members, $250 for nonmembers: Campers will get to dive head-first into the world of superheroes, examining favorite heroes and heroines and discovering what makes their powers so super. Delicious and Disgusting, grades 4-6, 9 a.m. to 4 p.m., $225 for members, $250 for nonmembers: This camp is going to be wonderfully appealing and a little gross! Campers will explore the secret science behind some of their favorite foods. Investigate pudding painting viscosity, lickable wall paper and the amount of protein in a cricket. After a couple of taste tests, campers will explore the hidden world of the human digestion system and how different foods affect our daily lives. Advance registration is required. Registration will close March 11 or when full. For more information about Science Museum Oklahoma camps or to register for a camp, visit www.sciencemuseumok.org/spring-break-camps or call 405-602-3760.